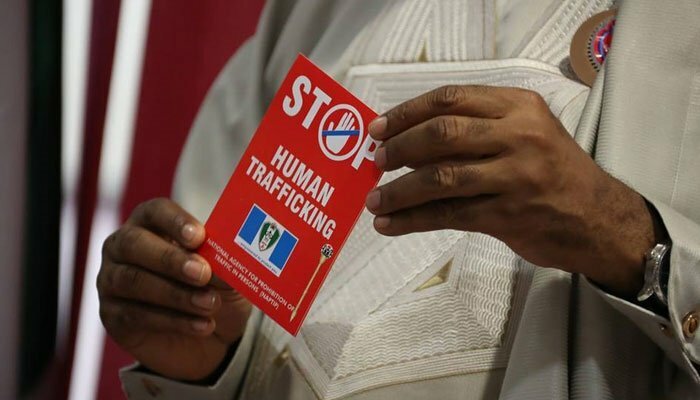 The Nigerian Senate says it is ready to amend the National Agency for Prohibition of Trafficking in Persons (NAPTIP) Act of 2015 to help put an end to human trafficking that is thriving in Nigeria. Human trafficking is still high and Africa seems to be the biggest victim. In Nigeria, people willingly pursue a desire to be trafficked to Europe, taking the 50-50 journey through the desert. Some have died in search of greener pasture, because leaders have refused to water the vegetation in Nigeria with good governance. Recently, some 26 Nigerian teenage women aboard a Spanish Vessel died in the Mediterranean Sea on their way to Europe and the Senate President, Bukola Saraki, is sad over the incident. One agency saddled with the responsibility of checking human trafficking is the National Agency for Prohibition of Trafficking in Persons (NAPTIP). Dr. Saraki says the Senate is ready to amend the NAPTIP Act of 2015 to stifle trafficking in persons. 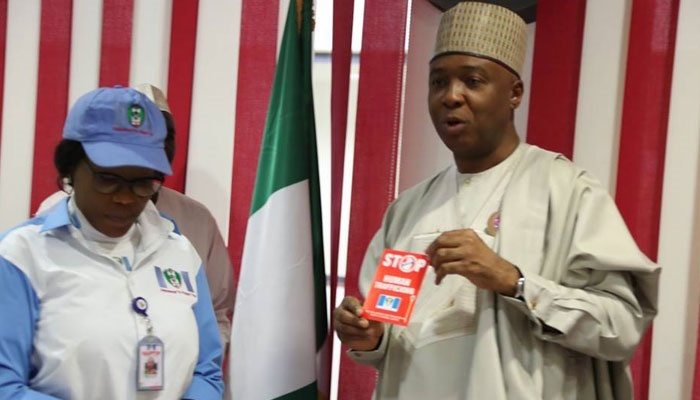 After a meeting with the Director-General of the NAPTIP, Julie Okah-Donli, said it provided the Senate with an opportunity to reassess Nigeria's preparedness to address this illegal migration and human trafficking issue that has become a national priority. The Senate is concerned about the number of Nigerians who have tried crossing over into Europe through Libya and are now begging to come back home and the other cases of domestic and international human trafficking and illegal migration that we see in the news. Dr. Saraki said: "As a nation, we have a responsibility to do the right thing. "Trafficking is something that we must face head-on now, as it is escalating to a crisis level. "However, due to its scarce resources, it is clear that over the years, NAPTIP has not been a priority in budgeting and appropriation. "Moving forward, working with my colleagues in the Senate and the National Assembly, through the 2018 appropriations process, we will work to provide adequate funding for this crucial agency in order to make it more effective to deliver on its mandate. "I have also asked NAPTIP to let us know if there are any areas in the NAPTIP Act of 2015 that needs to be enhanced to bring about more effective performance". The Senate President believes that such amendments will ensure that NAPTIP collaborates effectively with other security agencies in order to stop the rising menace of criminal cartels that are benefitting from trafficking in persons and work with state governments across the nation to rehabilitate rescued victims of trafficking. The meeting with NAPTIP came days after a European Union delegation expressed Europe’s willingness to collaborate with Nigeria and provide support in combating human trafficking issue on the international front. A recent investigation by Bounce News on why people take the dangerous journey, showed that hardship in Nigeria has largely contributed to the increase in human trafficking. Edo State is one place in Nigeria that has families that can boast of having at least one person abroad and those that were preparing to make the land journey at the time said they could no longer face the hardship in Nigeria. "It is better I try and die," one of them said. One way they believe human trafficking will end is for the government to give Nigerians good governance by judiciously expending every allocation to capital projects in the budget.